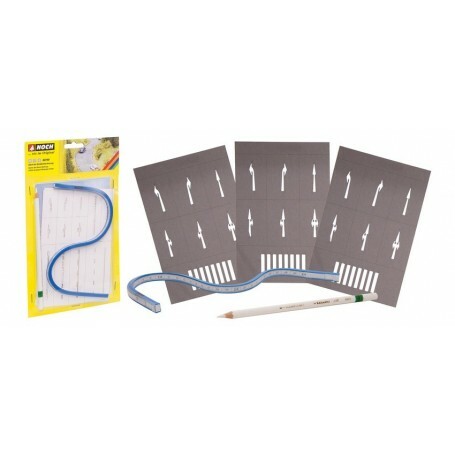 The Starter Set Street Markings offers the complete solution when designing street markings. With the flexible curved ruler, which is a part of the set, centrelines and street markings can be designed without any problem at all curves. The special street marking pen is ideal for adding street markings, either with the template or the curved ruler. The start set also contains one template for each scale H0, TT and N as sample.